Ohrpheo - Your music school in Jablonskistr. 15, Berlin Prenzlauer Berg. We offer more than just music lessons! 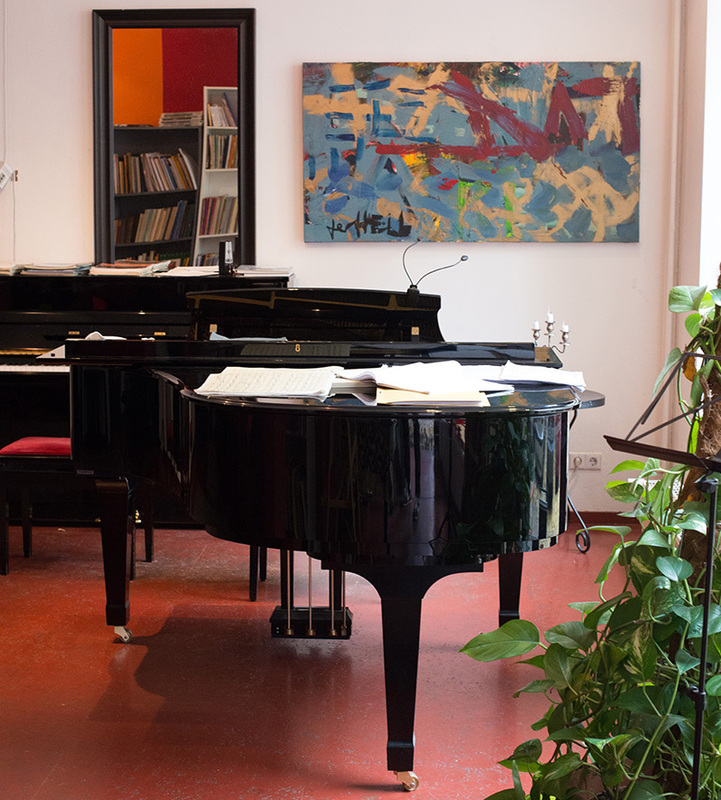 The Ohrpheo is a small but fine music school in the middle of Prenzlauer Berg Berlin. We offer music lessons, music events and workshops for jung and old people. - Just come to our music school in Jablonskistr. 15 and convince yourself of our offer! The team and the music teachers of Musikstudio Ohrpheo are looking forward to your visit! - By the way: Our piano lessons always take place at a wonderful Boston wing. You want to receive information about current events and offers of our music school? - Subscribe to our newsletter! 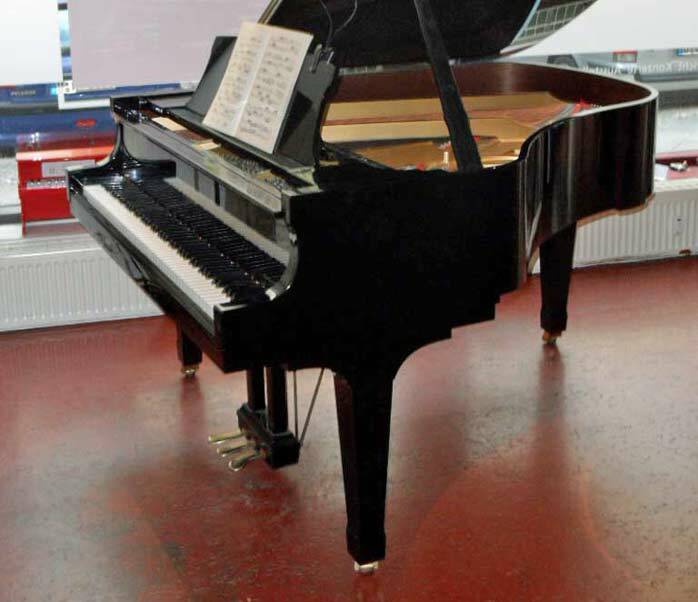 You would like to rent our piano wing for an hour? You need advice because you want to buy a music instrument? 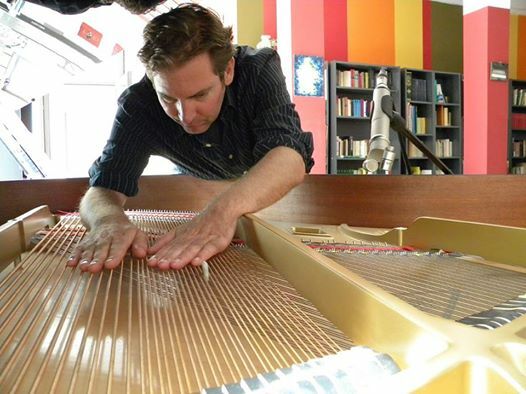 Are you looking for a wing for practicing in Berlin? Best in Prenzlauer Berg? 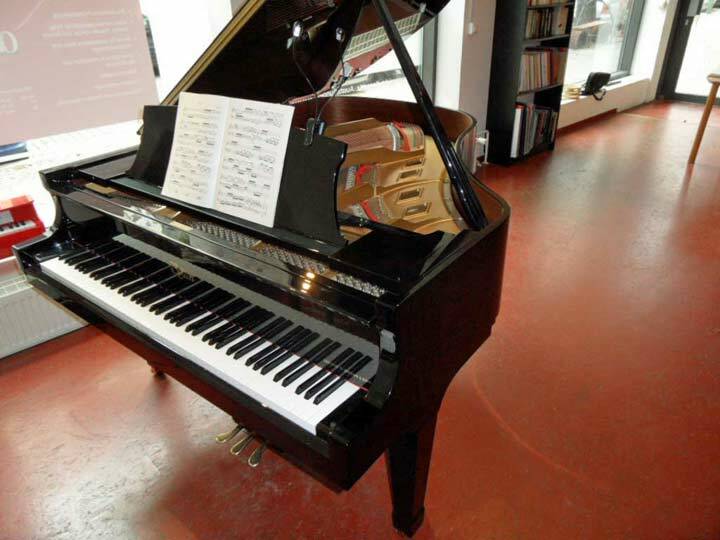 - Our Boston wing from Steinway can be rented by the hour. Our studio in Jablonskistrasse 15, 10405 Berlin can also be rented for events and celebrations. And of course, we would be happy to advise you on buying a musical instrument. Event on the subject of basic income. The concept of the initiative 'Basic income for all' (grundeinkommen-für-alle.org) will be presented. As a part of Festival EnCounterpoints 2019's unique program of contemporary music and performance, we invite you for a night of poetry, featuring guest artists Demi Anter, Alexander Norton, Luke Swenson and Louisa Griffith-Jones. The hour-long program at Musikstudio Ohrpheo will be followed by an open mic for musicians and writers. Entrance is free and donations will be collected for the artists. Exhibition opening with works by Anett Lau and improvisations by Biliana Voutchkova. On 9.05.2019 the Musikstudio Ohrpheo Berlin celebrates its tenth anniversary! - We celebrate this event with the four-day festival EnCounterpoints 2019. This year's motto is: Trans-lation-scription-mission. The second festival day of EnCounterpoints 2019 begins with a lecture on 'From musical notation to sample composition', given by the renowned author Dr. Harry Lehmann (Die digitale Revolution in der Musik, Gehaltsästhetik), followed by a discussion. The discussion will be chaired by Jürgen Voigt. 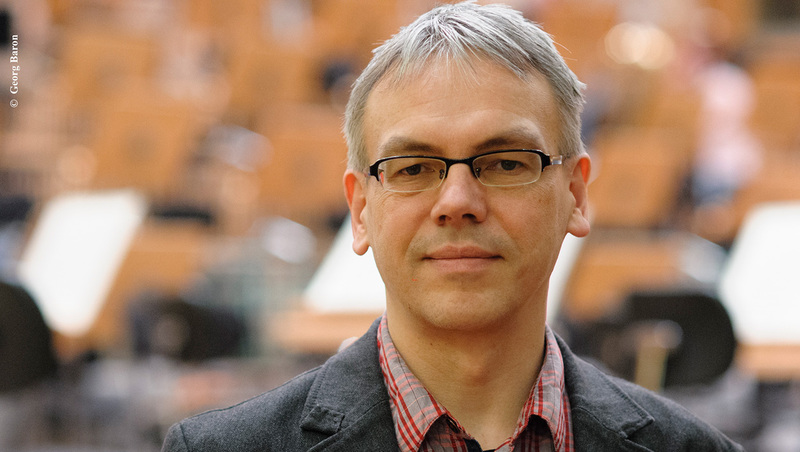 Andreas F. Staffel leads the music studio Ohrpheo and is responsible for the piano and composition lessons. Marina Khorkova gives piano lessons for beginners and advanced learners, for young people, small and very young children: early musical education, piano lessons, keyboard lessons. Our violin teacher Inobat Akhmedova was born in 1965 in Tashkent (Uzbekistan), studied at the Moscow State Conservatory. She has many years of experience as a musician and music teacher. Sophie Notte was born in Bitburg in 1991. She holds a Bachelor of Music degree. She teaches cello. Our guitar teacher Daniel Hartwig teaches classical as well as jazz/pop/rock guitar. He gives individual and group lessons, band coaching, preparation for and accompaniment in situations of foreplay. Jono Sendai teaches DJ techniques and producing with us. He has been working professionally and intensively with Ableton Live software for over ten years as a producer, sound designer and DJ.